Join the revolution! The health and wellness revolution. For the 3rd year in a row, The El Segundo Rotary Club is hosting El Segundo Community Wellness Day, an event which promotes health, safety, environmental and financial wellness. Wellness is central to the Farm Stand mission and we couldn’t be happier to participate in this year’s event. Expect over 70 vendors with various community agencies sharing info about environmental safety, financial literacy, health screenings and much more for all ages. Also look for the Laker Girls, games, raffle prizes and food! Best of all, it’s FREE. We hope to see you there! 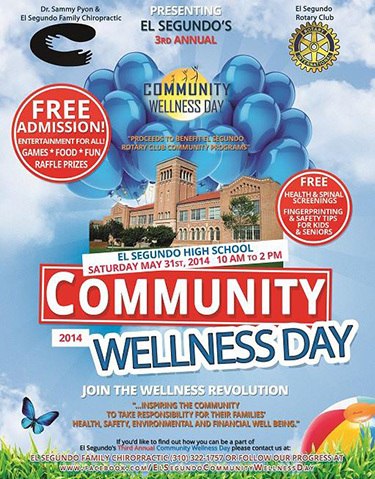 For more info visit the Facebook page for El Segundo Community Wellness Day. Tags: community, el segundo, el segundo high, events, fundraiser, health | Permalink. Let’s face it – we all love the taste of sugary sweets. Unfortunately, these foods can have a number of unhealthy effects on our bodies if consumed too frequently. One solution to this problem, is a dairy-free, gluten-free vegan dessert. We know what you may be thinking – no thank you, right? Well, this recipe might just change your mind. 1. Combine the coconut milk and vanilla extract together in a blender and blend until smooth. Pour into a glass container and cover with a lid or plastic wrap. Refrigerate for at least one hour. 2. Wash and dry 1 cup of berries per person, and scoop into bowls. 3. 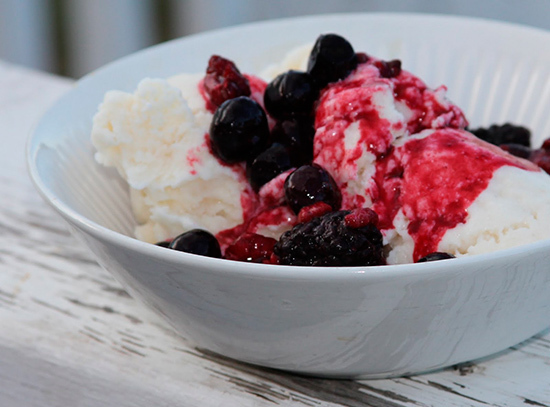 Scoop a large spoonful of cream on top of each bowl of berries and top with mint. Tags: berries, cream, fruit, vanilla, vegan | Permalink. 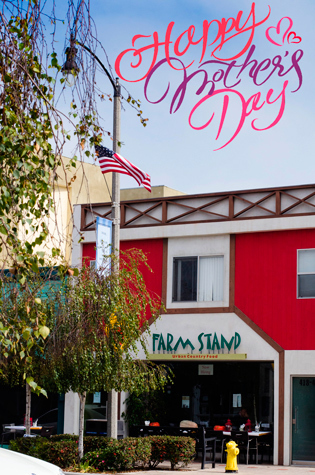 Join us at Farm Stand as we celebrate Mothers all weekend! In honor of Mother’s Day we’re featuring a special Mother’s Day menu for May 9 through May 11. We’ll be offering a 3-course menu. For starters you can choose between a Green Salad or Caesar Salad. Follow that up with a main of either Filet Mignon Stroganoff, New Zealand Grass Fed Lamb Chops or Roasted Wild Mahi Mahi. Finally, finish your meal with something almost as sweet as your Mother: Mini Flourless Chocolate Cake with a berry puree or Mini Nonna Rina’s Tiramisu with a berry puree. Make reservations online at http://farmstand.us. Tags: brunch, holidays, mother's day | Permalink. Could cherry juice help cure insomnia? We use tart cherries in our rice pilaf, tart cherry lemonade and tart cherry mimosas. According to new research, cherry juice could get you ready for bed more easily. Studies showed that those who drank cherry juice in the morning and at night were able to sleep 84 minutes longer than those who received a placebo. At Farm Stand we use tart cherries in our rice pilaf, tart cherry lemonade and tart cherry mimosas. You could say dining at Farm Stand literally helps you sleep at night! 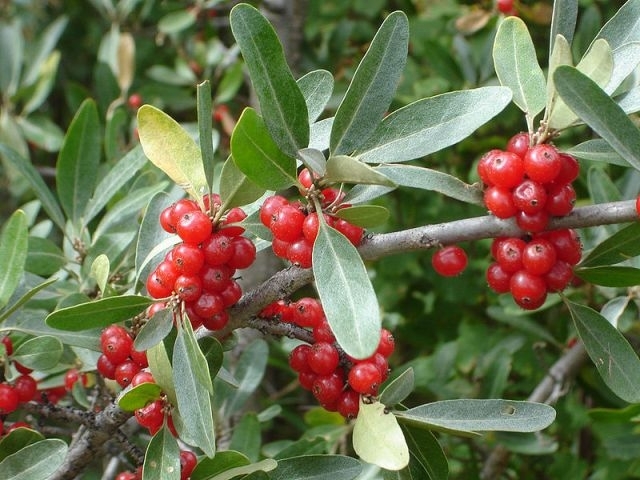 Tags: cherries, fruit, health, remedies | Permalink.